Beets, apples and ginger. My kids LOVE this and it gives us all bright red lips – heehee!! Thanks to everyone who entered, we really enjoyed reading all about your favourite juice combos. Today’s give-away is from the awesome and talented and awesome Nathalie VanBalen. 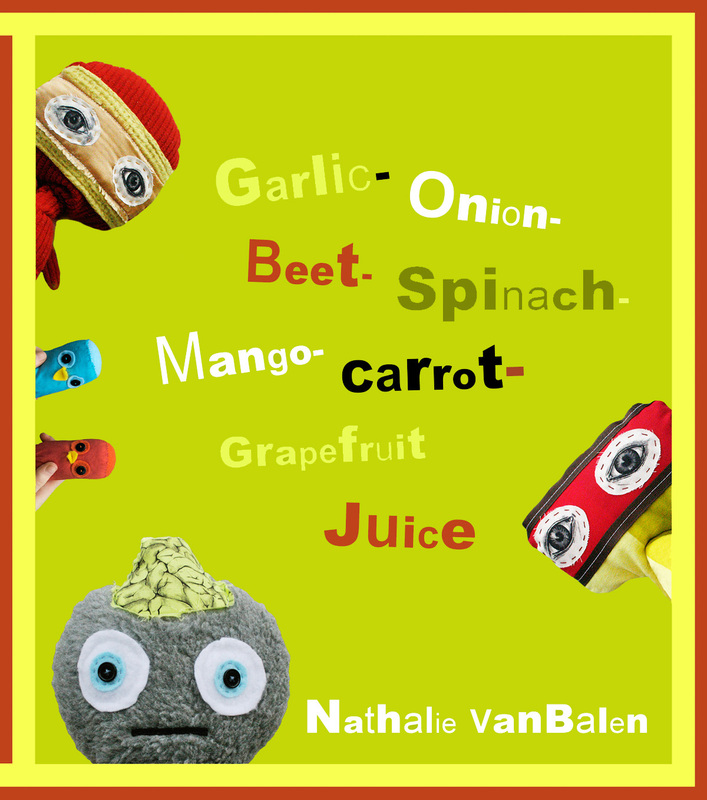 Nathalie’s book Garlic-Onion-Beet-Spinach-Mango-Carrot-Grapefruit Juice is described by the authoress herself as “A silly story that raises questions about eating animals.” Nathalie is a gifted artist having designed and hand-crafted all the characters herself. She also self-published and promoted the book. It must be all the juice she drinks that gives her so much energy! There’s some great turkey colouring pages over on Nathalie’s Blog for kids to colour in and enjoy and MoFo’ers will appreciate this I’m sure. To be in with a chance of winning a copy simply leave us a comment telling us your favourite combination of fruits and vegetables to juice. We’ll pick one lucky winner at random, tomorrow at around 4pm PST. VeganMoFo Roundup: How Many Days 'Til Pie, Again? I love apple-raspberry-pear juice. So good! My current favorite is mango, blueberry, apple juice. Carrot, Apple, Pear and a tinsy bit of ginger. Apple carrot. Sweet and simple. carrot orange ginger. or strawberry! Apple and cucumber is a really lovely combo. This book is on my Christmas list!! And apple-strawberry-kiwi for sure! Blueberries, juiced oranges, and kiwi is perfect! Grasshopper = wheatgrass and apple = Yum! My all-around fav juice is carrot-beet-lemon as of right now but I am very open-minded! I love green drinks! Green lemonade or an ol’ fashioned apple-carrot-celery-ginger are both yummy. Orange and apricot – oh yes!! My favorite juice ever consisted of cucumber and apple and parsley. I just really LOVE JUICE!! 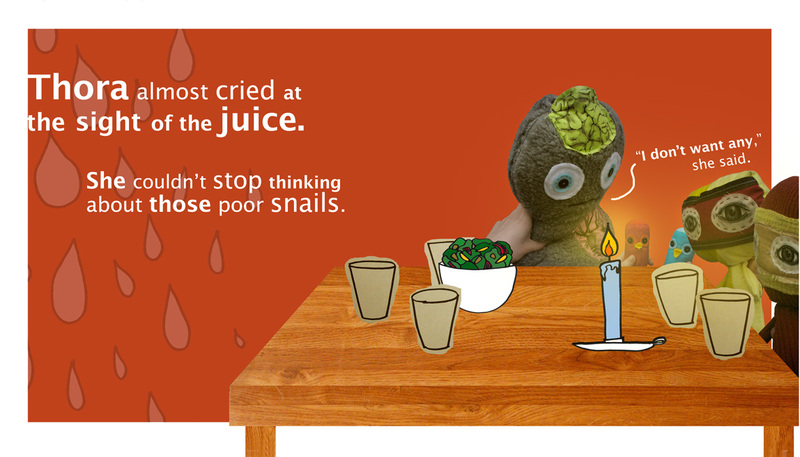 veggies don’t belong in juice! i like pineapple mango strawberry for breakfast. Tomato juice with lots off veggies (and maybe spiked with vodka).